This resource has been sponsored by the Co-operative Education Trust Scotland and is designed for use in secondary schools. The resource looks at the establishment, history, principles and methods of the Co-operative movement. It can be used by a range of classes including: a Standard Grade history class studying ‘Changing Britain and Scotland 1880-Present’ with a focus on the Changing Role of Women. It could also be used by Int1&2 history studying ‘From Cradle to Grave’. English teachers looking for ideas for creative writing, Art classes, PSE teachers, business studies and various other subjects would also find it beneficial. Many sources show that the Co-operative movement began in Rochdale, Lancashire in 1844 at a time when the Industrial Revolution was forcing more and more skilled workers into poverty. It was established by a group of social reformers who each paid £1 to establish the Rochdale Equitable Pioneers Society. Its aim was to sell unadulterated food products to the poor and return the surplus, or dividend, to the customers. However, materials have come to light that show Fenwick in Ayrshire was actually the location of the first ever co-op in 1769. The Rochdale model was very similar to the first Fenwick Co-op. Evidence of the Fenwick Co-operative can be found at the National Library of Scotland. By the beginning of the 20th Century 1004 independent co-operative societies had been established throughout Britain. By 1962 one quarter (1/4) of the British population were members and the organisation employed half a million people. They grew to be much more than a shop as they developed libraries, clinics, funeral parlours, Women’s Guilds and much more. Although today the Co-op has a smaller food retail market share of 6.7% in Scotland, it still remains much more than just a shop. It is involved in social and community activities and retains its commitment to creating a fairer society based on mutuality. Before watching the clips it could be a good starter activity to get pupils to try to find out as much as possible about the Co-op. What were its founding principles? What does it do today that carries on this legacy? Find an example of how the Co-op is committed to making Britain and the world a fairer place. A good starting point for this research would be the Co-operative website. Look under 'Our History’ in the 'About Us' section and the ‘Ethics in Action’ section. Also look at The Co-operative Education Trust website. Or, give the pupils a list of the principles of the Co-op. In groups/pairs ask them to discuss each one and decide what it means and why it was chosen. Watch the films and decide whether or not the Co-op lives up to these principles. Having watched all the films and researched the Co-operative Movement pupils can think about establishing their own co-operative society at school as part of an Enterprise initiative and enabling pupils to become successful citizens. A helpful pack is available at The Co-operative Education Trust website under ‘When Values Meet Vision’. 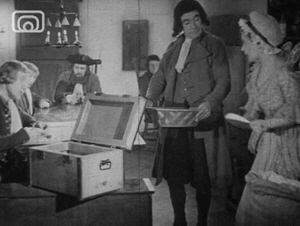 This is a dramatisation of the establishment of the Fenwick weavers’ co-op society. It details why they were established and their position in society. The film carries on to show how this movement spread throughout Scotland. What is the box referred to in the title of this film? What was the industrial revolution and how did it affect small industries like the weavers shown in this film? What is the Spinning Jenny and how did it change the face of industry in Scotland? What type of people would have to rely on the box and why? Why did demands on the box grow throughout the 19th century? Where were co-ops established throughout Scotland and when? What is a wholesale society? History (Int. 1&2): Pupils studying ‘From Cradle to Grave’ should watch the film and think about reasons people in the 19th Century were poor and the changes that made life worse for them. Next, think of ways in which the poor tried to help themselves (i.e. the Co-operative Movement). Ask pupils to give a presentation on their findings or design a poster encouraging more people to form Co-op societies. Debate: Should the poor be encouraged to help themselves or does society have a duty to help? Extended Writing: Write a newspaper report explaining the success of the Co-op. It should focus on: * Why it was initially established? How successful was it in its early days? How did this success manage to grow? (Use figures from the film to illustrate your findings). 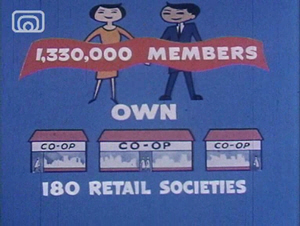 Comparison Work: Compare the work of the Co-op as shown in this film to how the Co-op works today. How has the movement grown and developed over the past 150 years? Are there similarities? Are there differences? 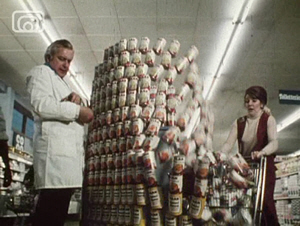 This film looks at the role of the Scottish Co-operative in daily life. It charts the organisation of the Co-op, the benefit to the public and its staff, and gives an overview of the various products and services offered by it. What are the advantages of the Co-op to the housewife and the employee? Describe the organisation of the Co-op and explain why this is beneficial. List the benefits of the Co-op. How important a role did the Co-op play in the lives of ordinary people? Make a list of all the products sold by the Co-op. What does this film tell us about the role of women in society? Do you think a sense of community is felt by members of the Co-op? History/English/Art: Design a leaflet explaining the principles and benefits of the Co-op. The aim of the leaflet is to encourage new members to join and therefore should mention how the Co-op is structured, what services and products it offers, and what the benefit is for new members. Think about who the leaflet will be aimed at! History classes could look at designing a leaflet for the original Co-op, or at SG level designing a leaflet aimed at the 1960s woman. Extended Writing: Write an essay on the founding principles of the Co-operative. Explain how these have been achieved and how the Co-op continues to live up to these principles. Use the The Co-operative Education Trust website and the Co-operative website and film clips to research. Maths/HE: Using the Co-operative website and leaflets picked up in a local Co-op, ask pupils to create (and then make, if possible) a healthy three course meal for a family of four on a budget (you can select the budget). Or budget for a whole weeks worth of shopping for a family of four. This is especially relevant given the austere economic times ahead. Art/Design: All the products in the film are from the 1960s. Take a product from the film and update it for the 21st Century. This can be any of the products: clothes, furniture, shoes, food or other product. This clip is of an address by the president of the Scottish Cooperative Wholesale Society to an American audience explaining the importance of international co-operation. According to Neil Beaton why is this war being fought? How far does this reflect your own knowledge? How does he believe co-operation can help to bring peace back to the world? How important is the Co-operative to the British economy? How globally far reaching is the work of the Co-operative then and now? Business Studies/Geography: According to Neil Beaton the work of the Co-operative has had far reaching consequences in many corners of the world. How is this work continued today? Pupils should create a PowerPoint presentation on the international role of the Co-operative today. Use the International Co-operative Alliance website and the The Co-operative Education Trust website for further information. The Chemical Sundries Department is where the Co-operative tested and manufactured its own food products. 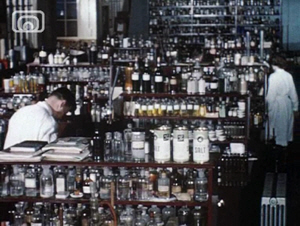 Both clips show the factory production of various products including almond oil, table jellies, table salt and oats. They highlight the light industries involved in making these products. Who is working in the factories? How have methods of production changed today? Are food products still made in Britain today? Research Project: Pupils should find out where different food products come from today. How are they made and processed and how the producers of foods are treated? This could be linked to a Fairtrade Project. They could include map work as they plot the origin of various food stuffs. Think about the carbon foot-print left by the transport of products. Here we have a collection of commercials advertising the various products available from the Co-op from 1955 onwards. Who are these adverts aimed at? What do they suggest about the woman’s role in society? Why do you think people shopped at the Co-op? How are the adverts for men and women different? What do the products on sale tell us about the changing nature of people’s lives? How do the adverts compare with adverts today? Design: The Co-op logo can be considered iconic. Using the same symbol, modernise the Co-op logo. Digital Media: Take one of the adverts from the collection on this website. Re-work the advert for today’s audience. You could write a new jingle to record over the top of it. Then, write a new script to sell each product. 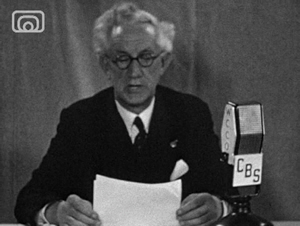 Using the advert visuals put the new voice-over on to the advert. Business Studies Presentation/Group Work: The adverts all show the food and products on sale by the Co-op. The Co-op actually has many functions. Each group member should look at a separate part of the Co-operative movement (housing, banking etc.). The group should then present their findings in an appropriate manner (poster, flow diagram, oral presentation). This could also be used with the ‘Enterprise with Ethics’ resource available on the The Co-operative Educational Trust website. PSE/Geography: Use the film in conjunction with the Co-operate for Change resource pack which can be downloaded for free from The Co-operative Educational Trust website. Pupils can research where different food products come from, how they are transported to Britain and the environmental impact of this. They can use both the films and resource pack to formulate ideas for making their own school a Fair-trade school. This lesson guide was developed by Secondary School teacher Christine McLean.